A beautiful ‘first time’ offering for those who connect with the magical language of the Diamond Light Codes. From their first presentation as static geometries in 2003, these particular codes have emerged as a universal, living encoding of light and multidimensional messengers of the Diamond Light of Source. Continually rebirthing themselves through the increasing frequency shifts, the Diamond Light Codes are information bundles that unfold and release their gifts in perfect and divine timing and in correspondence with the prevailing Diamond Light Frequencies. The Diamond Light Codes are symbols representing actual 3-dimensional geometric structures of light. They awaken dormant aspects within your DNA, helping to align you with the frequencies of energy streaming on to our planet. They hold and transmit vibrational frequencies that help to bring change to your world…..as within, so without….. As you sit with the codes, you will become aware of their ability to project their 3-D form for you to experience viscerally. In 2004 I was told that the “Diamond Light Grid is the vehicle for the Diamond Light Codes”, and as time has passed, this has shown itself to be a powerful and accurate representation of the interaction between the Diamond Light Grid and the Diamond Light Codes. 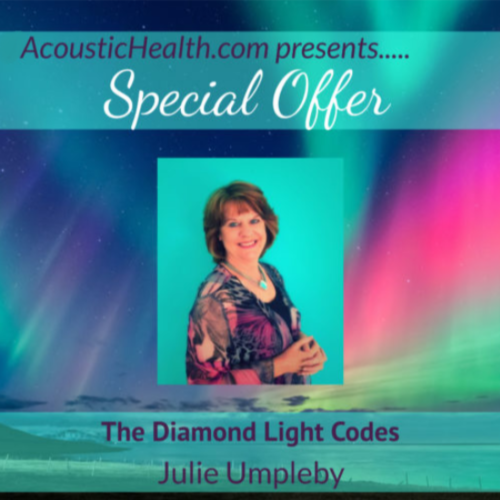 The codes support the development of the Grid – your personal Diamond Lightbody – and the grid enables deeper access to the codes themselves. It is a powerful process and journey that is undertaken with the light codes! The codes are animated with Source or Diamond consciousness. They are alive and interact with us to unfold multiple layers of information as we entrain with them. The colours, shapes and background all have a valuable role to play in the overall energetic action of the code, which may also be perceived through sound (music) and light Language. The Diamond Light Codes are here to support us with the development of our energy bodies as we transition through this grand shift. They release and realign the energy patterns at the deepest level of our being, and have a powerful effect in initiating changes energetically, biologically and spiritually. 40 high quality digital images of the original Diamond Light Codes (as jpegs), that you can use on your personal electronic devices, and print as desired. Activate your Diamond Consciousness Potentials with the Diamond Light Codes through this online series of classes. Beyond the current memes of ‘Diamond Light and Diamond Light Codes’, is a body of wisdom and practical application that supports your journey and embodiment of the new Earth consciousness. These online classes represent an accumulation of 15 years of dedication to understanding these enigmatic codes of light that have become a living contribution to our developing new realities. Comprised of 5 Hours of tutorial video, along with experiential, integrative processes, this workshop, along with additional bonuses will awaken your receptive faculties and gently guide you through the living light language that is being streamed through our local sun (stargate) into every molecule and atom of our being. These short mp4’s are complementary visual activations using a special combination of Diamond Light Codes to re-program your DNA and belief systems around abundance embedded in your biology and nervous system. In 2018, the Diamond Light Codes began presenting their encoded information through spoken Light Language, using a beautiful channel by the name of Rachel Sofia. This bonus gift is an mp3 and jpeg that reprograms beyond fear and constraint to Freedom and Sovereignty!